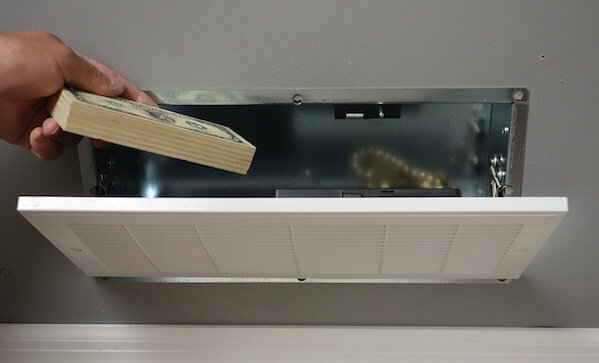 Let’s break down why this hidden compartment air vent safe from QuickSafes ($220) is so useful. One, it’s hidden. People can’t rob your safe if they don’t know where to find it. Two, it installs pretty quickly. Three, it locks with an RFID tag. It’s the perfect hiding spot for your jewellery, important papers, and blocks of wood painted to look like money!